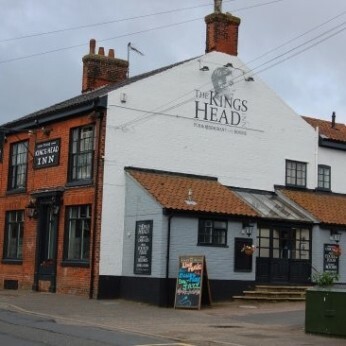 Acle Kings Head is an Inn with lots of character and a warm and friendly atmosphere at the heart of the village. All local amenities are within walking distance. Public transport is located just outside the pub and staff are more than happy to arrange a taxi service if needed. Free on-site parking is provided for all of our guests. Acle station is 10 minutes walk away with regular trains to Norwich and Great Yarmouth. The Kings Head offers seven fine bedrooms, a bar, a lounge and the garden room where breakfast is enjoyed. There is also a terrace and garden.